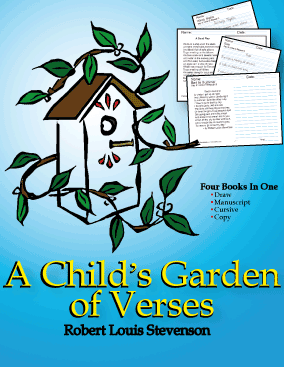 You'll love A Child's Garden Of Verses manuscript and cursive handwriting sheets as a wonderful way to teach your student beautiful writing. What better way to learn to write well than to use interesting poetry? Robert Louis Stevenson wrote beautiful poems that charm children and adults alike. 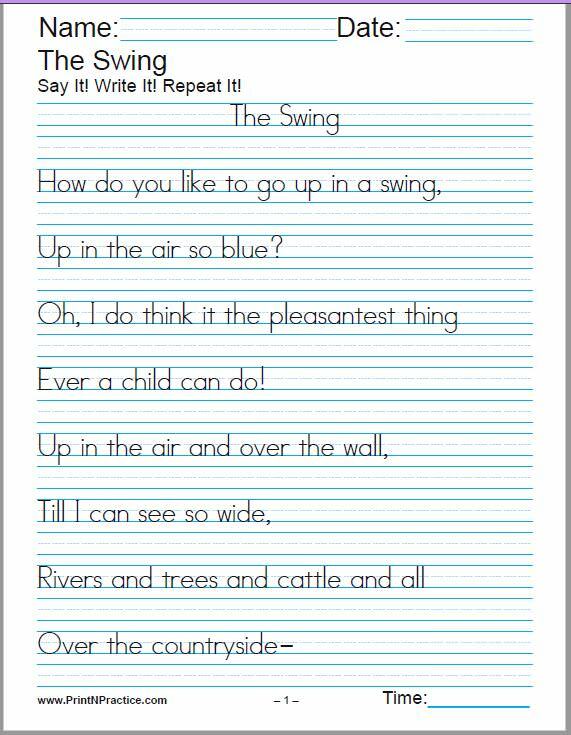 Now your students can enjoy 61 of his poems while they learn to write nicely. Kids love to learn that Stevenson wrote many of his poems when he was just a boy! Four samples of "The Swing", by Robert Louis Stevenson. Read and draw a picture. 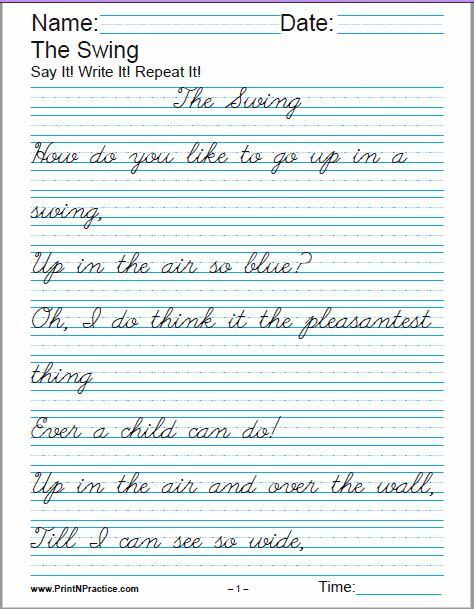 These are in four separate files so you're actually receiving four downloads of PDF handwriting worksheets. 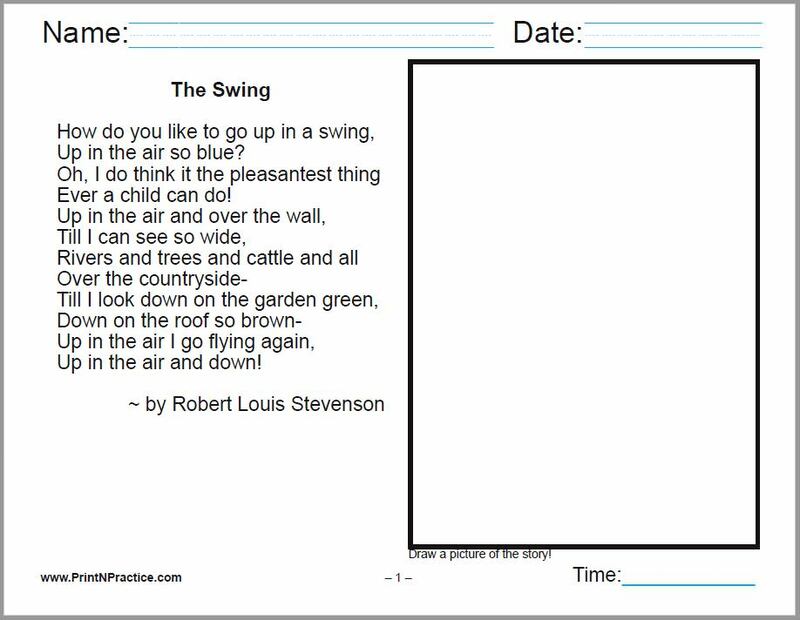 Level One: Has the poem written with a place for the student to draw a picture. Level Two: Has the poem written on lined paper in manuscript with a blank line for the child to copy. Level Three: Similar to Level Two but in beautiful cursive. 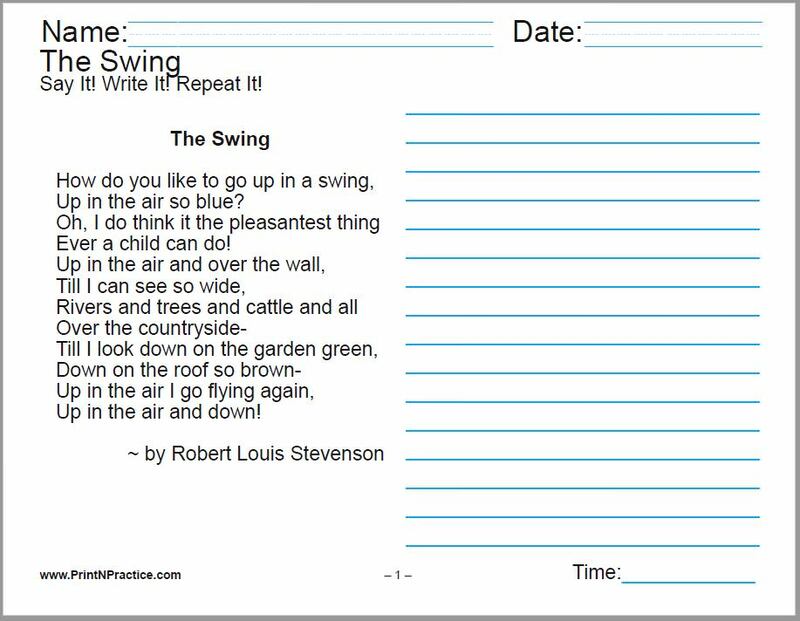 One of my favorite Robert Louis Stevenson poems is "The Swing". It's nice and sing-song-y with a swinging rhythm which makes it fun for kids to memorize. "My Shadow" is a great first poem, too. Kids think it is funny. You can save time, paper, and ink by copying the PDF files to your children's computer files. They can finish their work there. Save the price of time, paper, and ink. Your kids can practice typing. You can always find their homework. Pictures, manuscript, cursive, and copywork.